Livingwood Windows & Doors is a Suffolk-based company specialising in producing high performance, low maintenance windows and doors. With over 50 years combined experience in the building industry, the highly regarded company is well placed to provide clients with top quality products that suit their exact requirements. 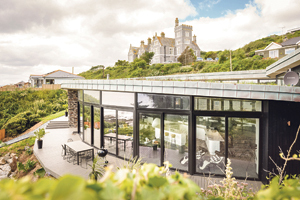 As well as this, Livingwood offer a full service from specification through to delivery and installation of any aluminium or timber windows and doors, as well as curtain walling, sliding systems, sun screening and conservatories. A 10 year guarantee is also provided on all aluminium doors and windows and a five-year warranty on all timber doors and windows. The qualified and dedicated team provide nothing less than a top class service. Their drive for complete customer services is matched by an appetite for providing the most energy efficient products and a willingness to take responsibility for the environment. If you want to find out more about Livingwood’s products or services (whether of a commercial or architectural nature), then please don’t hesitate to pick up the phone or send over an email to the group today. This entry was posted in News and tagged Building, Doors, Windows. Bookmark the permalink.